A laser engraved, aerospace aluminum ruler set at a practical 30° angle for comfortable use has smashed its Kickstarter funding target inside two hours. The 30° Ruler puts a new spin on an old classic – a tool seen in every classroom, drafting board and design studio yet something that has been unchanged for generations. The clever team at pro-environmentalist design company, Orangered Life is the visionary force behind the 30° Ruler. While the innovators have other successful crowdfunding projects under their belt, the lighting speed success of the 30° Ruler is a personal best. In addition to reaching its funding target within two hours of launch, the project has also received more than 800 backers and dozens of favorable comments from supporters. Orangered Life designer, Kelly Chen says: “The idea for the 30° Ruler actually came when we were creating our previous Kickstarter project. As we were creating the Foliage, we realized that while we have rulers on hand all the time as designers, they really haven’t evolved or made life easier for the user. We focused on bringing a classic design up-to-date and it’s those changes which we think have been so well received by Kickstarter’s community of investors. 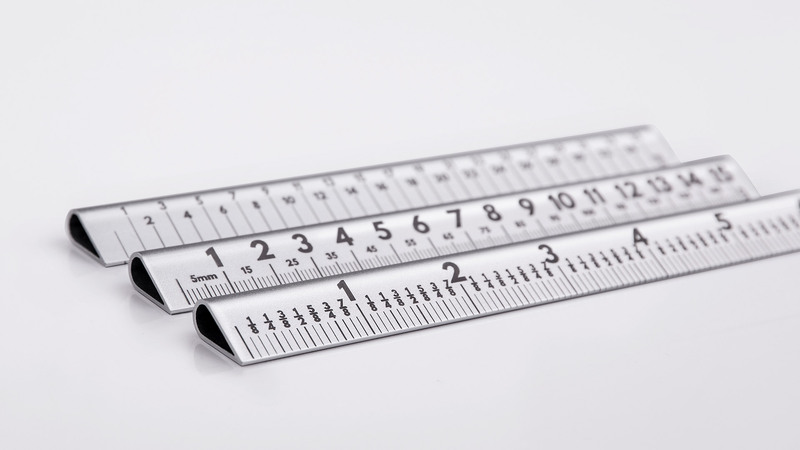 The 30° Ruler was developed for designers but is suitable for everyone. Instead of tiny measurements, it has practical, easy to read indications and a larger font. It has a slope, so it’s easy to use, even at a distance. The slope and bigger font mean there’s no need to hunch over the tool, so users can maintain a more comfortable, healthier posture. It’s also easy to pick up, safe for cutting, non-slip and ultra durable thanks to Aerospace grade aluminum and superb engineering. Laser engraving means it will last and last and it’s available in a choice of three different measurements and two lengths.